In June 2017, a fundraiser launched to help a mesothelioma patient take part in a clinical trial. Thanks to the support of hundreds of donors, the campaign surpassed its $40,000 goal. They raised more than $53,000 in a matter of months. In contrast, another mesothelioma patient’s September 2016 fundraiser fell far short of its $12,500 goal, raising less than $4,000 from a few dozen donors. These two examples share a very rare diagnosis and an increasingly common way of trying to pay for health care. Both campaigns used GoFundMe.com. It is one of the many crowdfunding websites available to help people raise money for anything — especially cancer treatment. In March 2017, an article on CureToday.com celebrated crowdfunding as a “virtual safety net” for cancer patients and caregivers. This controversy stems from the fact that websites like GoFundMe.com were not originally intended to cover gaps in health insurance coverage. Crowdfunding websites offer an efficient way to benefit from the generosity of strangers all over the world. Successful crowdfunding is not easy, though, and it comes at the cost of privacy. On a crowdfunding website, you describe your financial need through text, images or a video. Anyone who decides it is a worthy cause can then contribute in any amount through an online credit card transaction. Crowdfunding started out as a way for artists and designers to raise startup money directly from people interested in their projects. Over time, the method caught on as a convenient way for people to raise funds from friends and family for weddings and other personal events. It was only a matter of time before cancer patients and caregivers became a primary market for these websites. Health care in the U.S. becomes less affordable every year. Other crowdfunding sites such as YouCaring.com specifically serve humanitarian causes and individuals in dire need. These websites have fewer administrative costs than traditional brick-and-mortar charity organizations. In many cases, they only charge users a processing fee to cover the cost of each credit card transaction. It’s a familiar story in all areas of medicine: As treatment improves, it also becomes more expensive. Treatment for mesothelioma is no exception. Even with health insurance, mesothelioma patients may have to pay tens of thousands of dollars in deductibles, copays and coinsurance. Added to this are the indirect costs of traveling for specialized treatment and losing income when patients or caregivers cannot work. Without enough financial resources, a patient’s health may suffer because of financial toxicity. Turning to others for help is one solution. 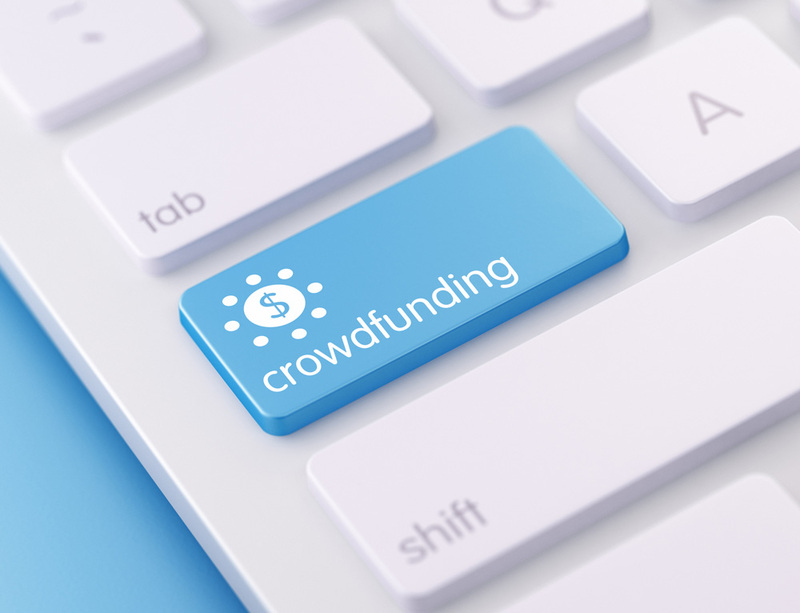 A crowdfunding website can streamline this effort and make fundraising more effective. Reaches More People: An online crowdfunding campaign can circulate through social media channels such as Facebook. The patient’s story can rapidly go beyond their immediate circle of family and friends. Makes Asking and Giving Less Awkward: Discussing an illness and financial stress in person can be difficult. Writing and reading about it is more comfortable for many people. Provides Emotional Support: Along with the financial contributions, many donors comment on crowdfunding pages with words of comfort and encouragement. Another familiar story is that nothing on the internet is as simple as it seems. Crowdfunding has been a blessing to many of its users — but not all of them. No crowdfunding campaign guarantees success. Even successful ones can be mixed blessings. Many critics describe the crowdfunding model as a “popularity contest.” In this perspective, these websites turn cancer patients’ tragic stories into products that have to compete for attention in a crowded marketplace. Before someone commits to a crowdfunding campaign, they should consider the negatives involved. Sacrifices Privacy: Crowdfunding cancer treatment means putting the patient’s health status and financial situation into the public eye. Attracts Con Artists: If someone else sets up a crowdfunding campaign on behalf of a cancer patient, that person may take the money and run. Crowdfunding holds great potential, but it is only one of many types of resources cancer patients can turn to. Mesothelioma patients should explore every type of financial assistance available. Bogle, A. (2018, February 25). The hidden costs of crowdfunding medical care. Jopson, B. (2018, January 11). Why are so many Americans crowdfunding their healthcare? Berliner, L., & Kenworthy, N. (2017, August). Producing a worthy illness: Personal crowdfunding amidst financial crisis. Synder, J. (2017, June 1). As patients turn to medical crowdfunding, concerns emerge about privacy. Moninger, J. (2017, March 6). Crowdfunding for Cancer Care: A Virtual Safety Net. Oksman, O. (2015, December 26). How crowdfunding became a lifeline for cancer patients struggling with debt. Donaldson James, S. (2015, June 4). Crowdfunding Can Help Cure Cost of Cancer Care. GoFundMe.com. (n.d.). Cancer Bills & Expenses.